21mm White Plastic End Caps To Fit into 21mm Strut Channel Colour - White Compatible..
41mm WhitePlastic End Caps To Fit Inside 41mm Channel Colour - White Compatible..
21mm Black Plastic End Caps To Fit into 21mm Strut Channel Colour - Black Compatible..
41mm Black Plastic End Caps To Fit into 41mm Strut Channel Colour - Black Compatible..
Black Plastic Channel Closure Strip High Grade Polypropylene Colour - Black Length - ..
White Plastic Channel Closure Strip High Grade Polypropylene Colour - White Length - 1&nbs..
White Plastic Channel Closure Strip High Grade Polypropylene Colour - White Length - 3 Met..
Pre-Galvanised Channel Closure Strip Pre-galvanised Steel Colour - Grey Length -.. 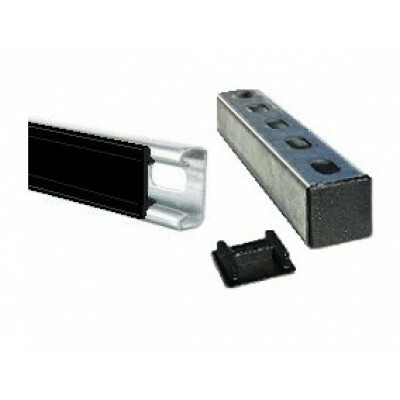 Twist & Lock Strut Clip (Black)Ideal for fastening any diameter cable or pipework to Unistrut Ch.. Twist & Lock Strut Clip (Red)Ideal for fastening any diameter cable or pipework to Unistrut Chan.. Twist & Lock Strut Clip (Blue)Ideal for fastening any diameter cable or pipework to Unistrut Cha..